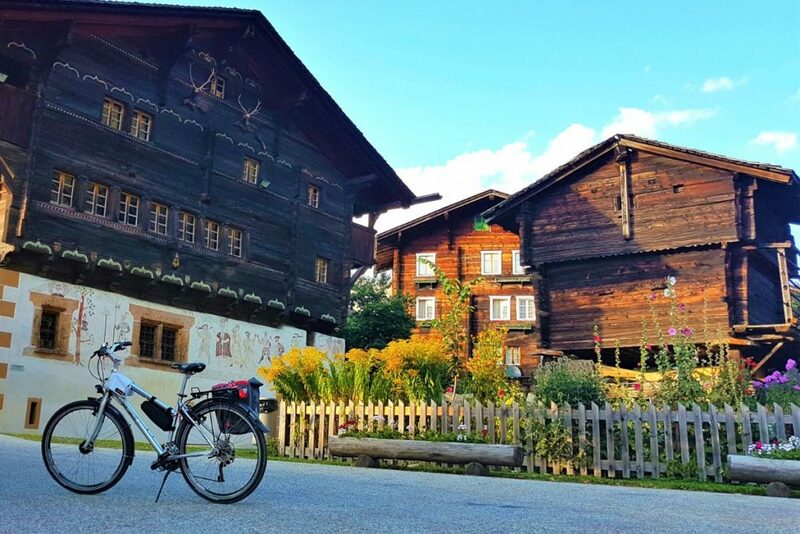 If you wish to experience this amazing vacation on two wheels, Travelwander is organising an 8-day Swiss Cycling Adventure coming up on 15 – 22 June 2019. The itinerary is as per described in this write-up. 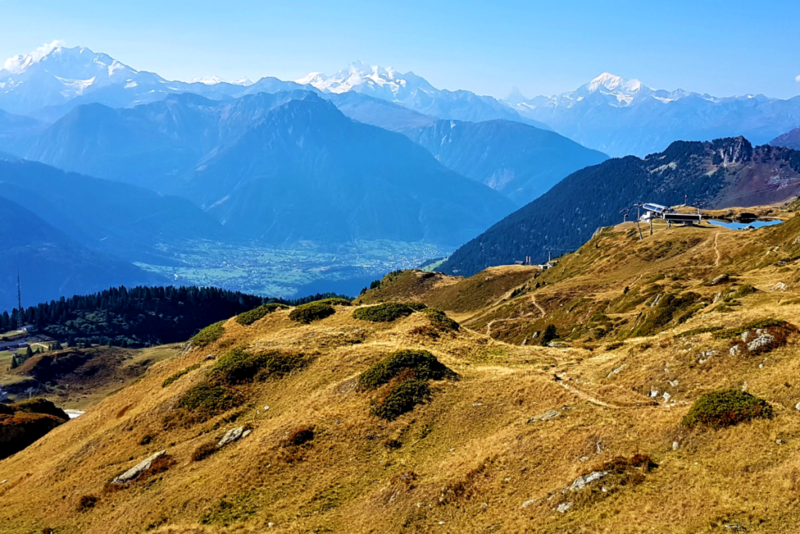 Nested in the heart of Europe – sharing its border with Germany, France, Italy, Austria, and Liechtenstein – lies a country world-renowned for its wealth, status and amazing alpine backdrops. 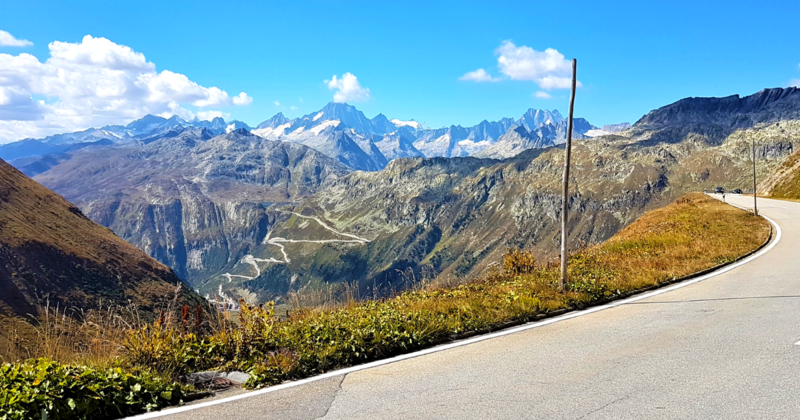 Switzerland, which is home to many high peaks of the Alps, numerous idyllic lakes and typical Swiss villages, is also a paradise for cyclists. She boasts excellent roads, 12,000 kilometres of cycle trails and unspoiled scenery. There are plenty of options for beginner to intermediate and advanced cyclists; for recreational riders, road cyclists and mountain bikers alike. 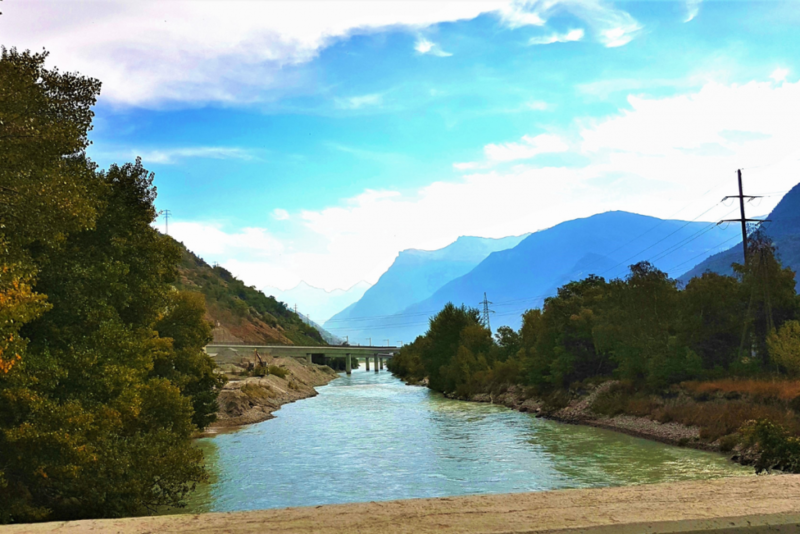 I took on an 8-day adventure last September along The Rhone River, and it is by far one of the best cycling holidays that I had to date. Upon arrival into Zurich International Airport, I was met and transferred to my Lead’s office for a thorough briefing on the cycling routes for the next six days. After that, I did a bike check before being transferred to my hotel. I was assigned a hybrid bicycle (known as touring or country bike in Switzerland) that comes with a pannier bag. The rest of the day is at leisure, and I took the opportunity to visit Zurich. 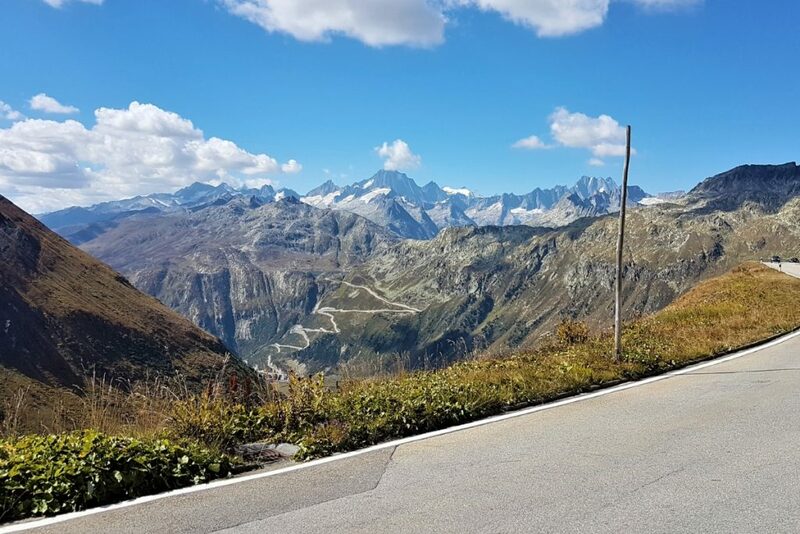 The next day, I was transferred to Furkapass at 2,429 metres above sea level along with my Lead. We started our first cycling day with downhill cycling, making a stop to visit Rhone Glacier. 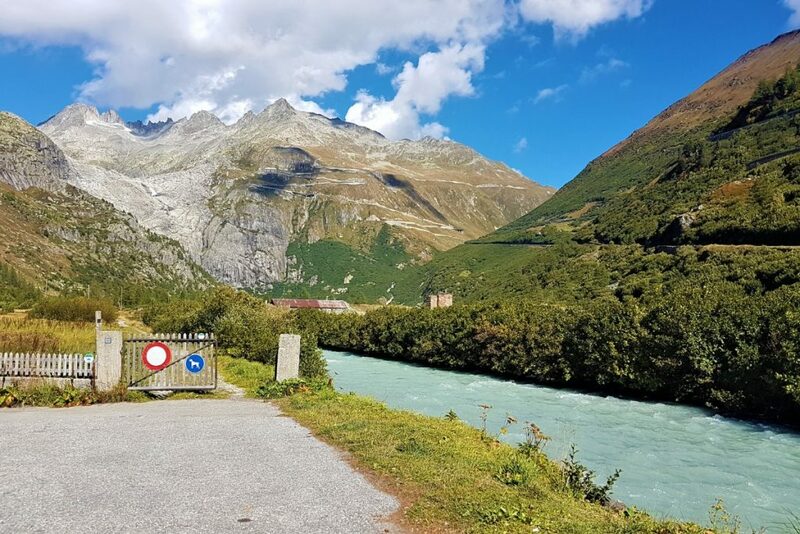 By the time we reached Oberwald, we had descended 1,000 metres. 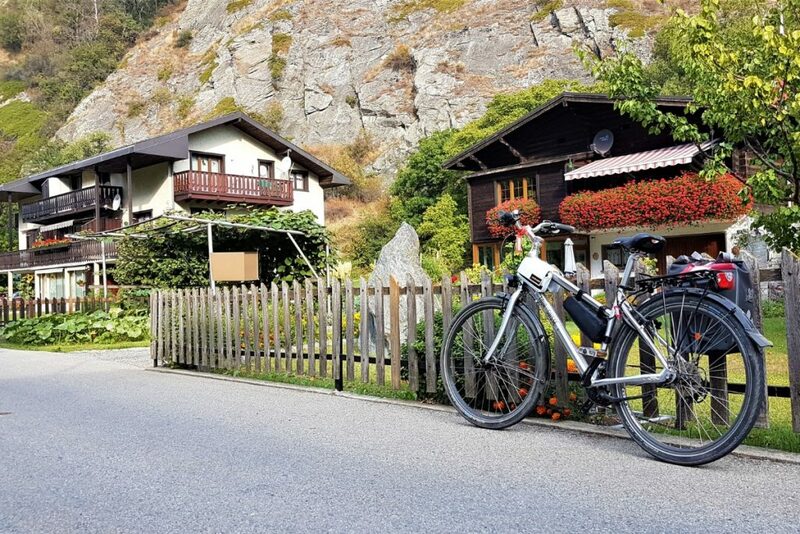 We continued our cycling journey through the charming Goms Valley with pretty villages, baroque churches, stone pine forests, and flower meadows. We ended our cycling in Morel, took a cable car to Riederalp, and spent a night in a mountain resort. 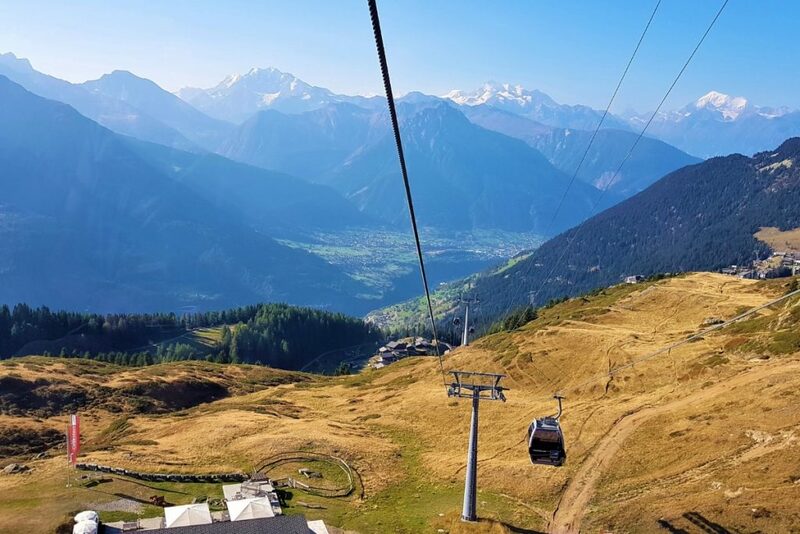 This morning, we took a cable car up to Hohfluh to see the Great Aletsch Glacier – a UNESCO Natural World Heritage site since 2001. 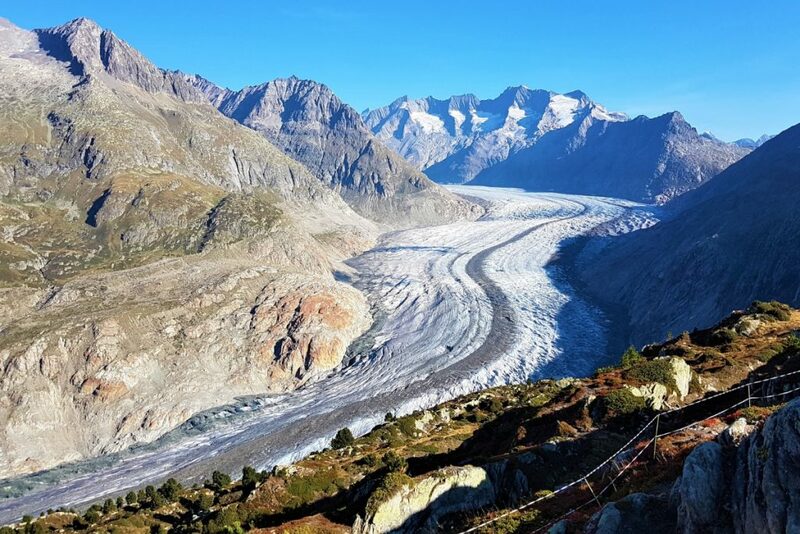 At 23 kilometres in length, the Aletsch Glacier is the biggest glacier in the European Alps. We took a leisurely walk along the crest with breathtaking views of the Alps surrounding us. After checking out of the hotel, we continued another thrilling downhill ride, followed by a ride along the Rhone River to the town of Brig. Did I mention my luggage was well taken care of with daily transfers by dedicated personnel who will ensure my luggage will reach the next destination by 6pm each day? Yes, my luggage was picked up every day before 9 am and arrived in the next hotel no later than 6 pm. All I needed was to carry my essentials I required for the day while cycling. 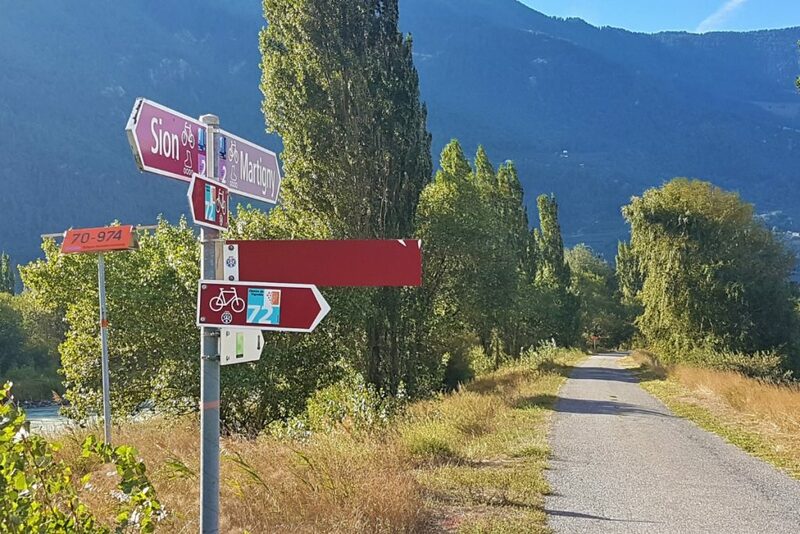 My Lead’s duty ended, and I embarked on a self-guided cycling adventure on from today’s onwards on well-signposted cycling paths that will bring me from Brig to Lausanne for the next four days. I left the snowy peaks and cycled along dedicated bike paths on mostly flat terrain, switching between tarmac and gravel trails. 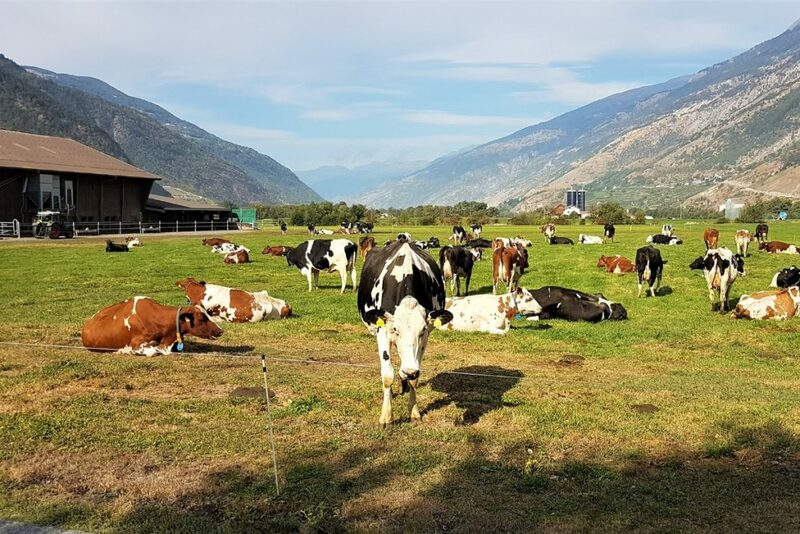 It was a refreshing change of scenery – from the glacier and snowy landscapes to Swiss villages with animal farms, fruit orchards, vineyards and historic Swiss architecture such as castles, churches and mansions. 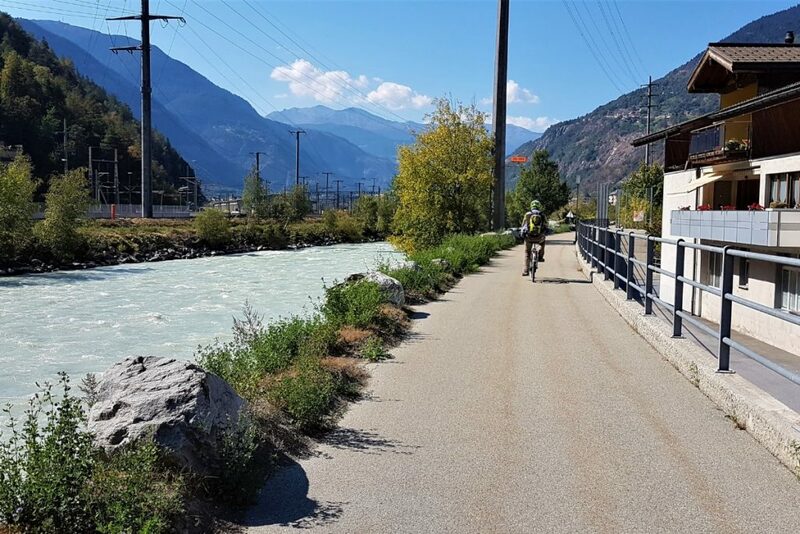 Cycling along the Rhone River through the Valais Valley posed a significant challenge too despite its flat path. The better the weather, the stronger the wind blew up in the valley, especially in the afternoon. 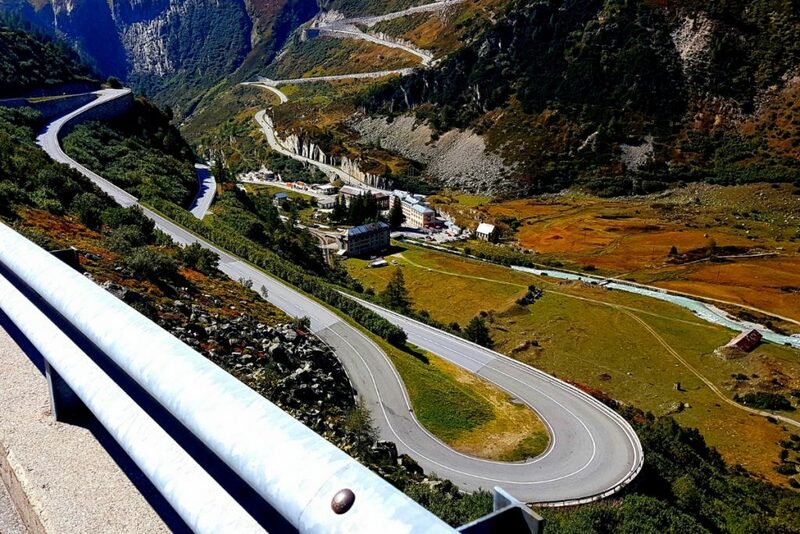 Also, the locals have an apt name for it known as the legendary “Valais Headwind“. As the name suggests, I rode through the valley with a headwind all the time! As I approached near Aigle where the UCI (Union Cycliste International) World Center is, I broke off from Rhone River and rode to the shores of Lake Geneva. 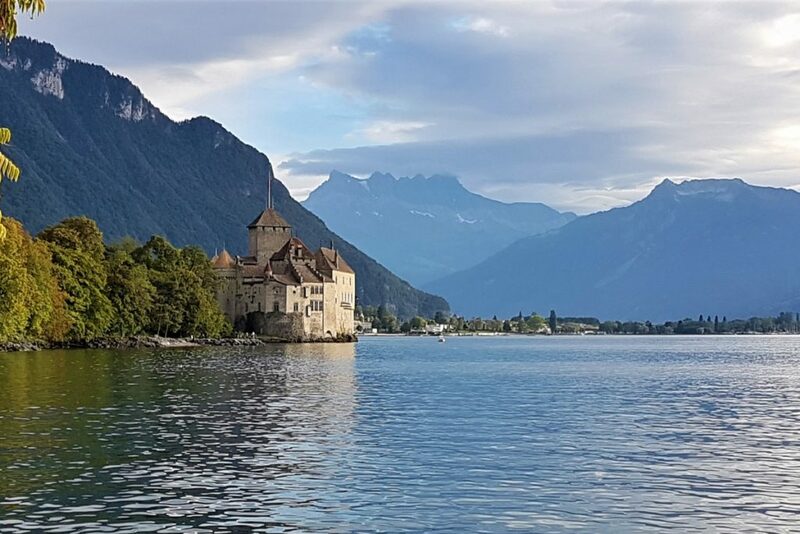 Chillon Castle, as if it was floating on the lake, stood proudly on its rocky island since the 12th century near Montreux. It is a must stop location for some picturesque snapshots. The ride along Lake Geneva in Montreux was therapeutic. The breathtaking backdrop of the snow-covered Alps, the promenade, and the idyllic lake became the highlight of my trip. 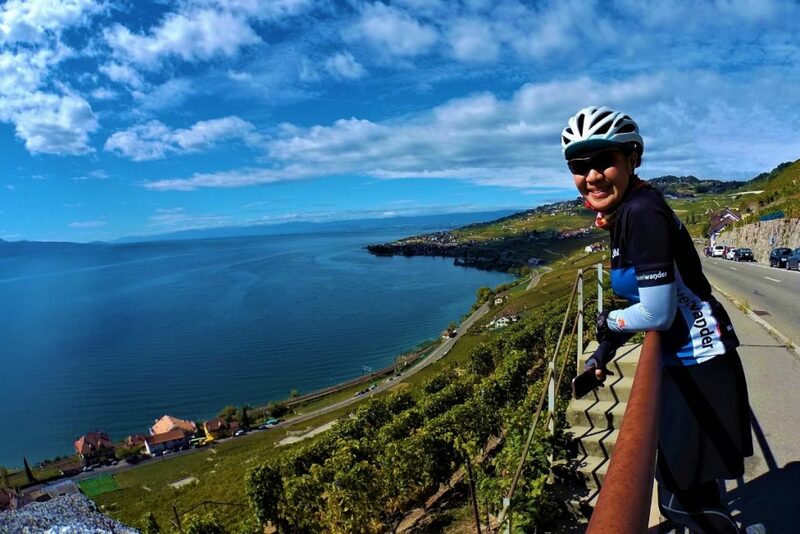 The final journey of my cycling adventure took me to the famous Lavaux Wine Terraces. With just 4,000 hectares of vineyards, Vaud is Switzerland’s second largest wine growing region. 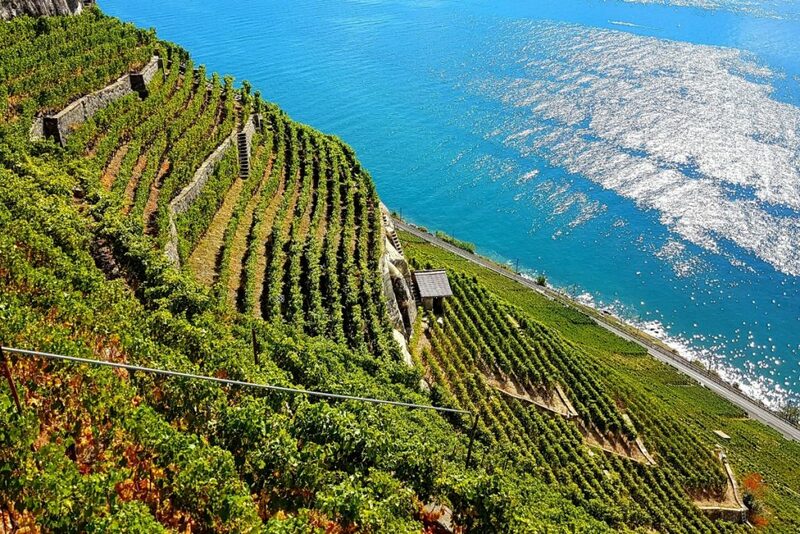 The steep vineyards of Lavaux, with bright and colourful foliage, looked stunning! 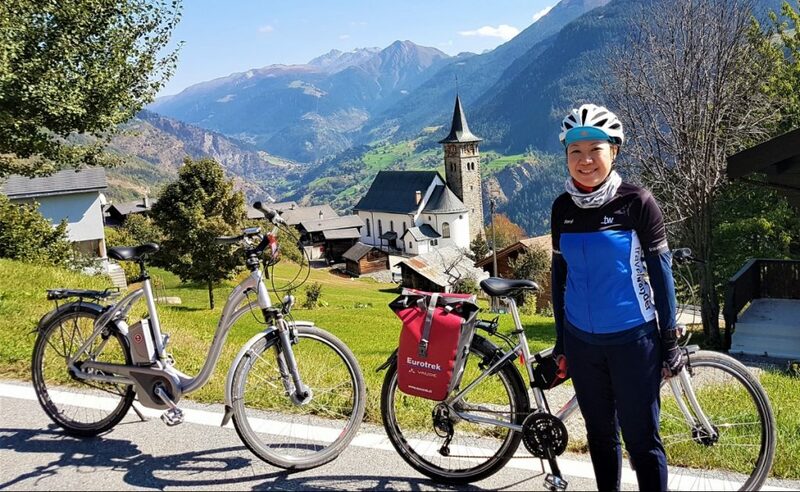 By the time I reached Lausanne, the “Olympic Capitale”, I had to bid farewell to my trusty bicycle who was my best companion for my cycling rendezvous in Switzerland. 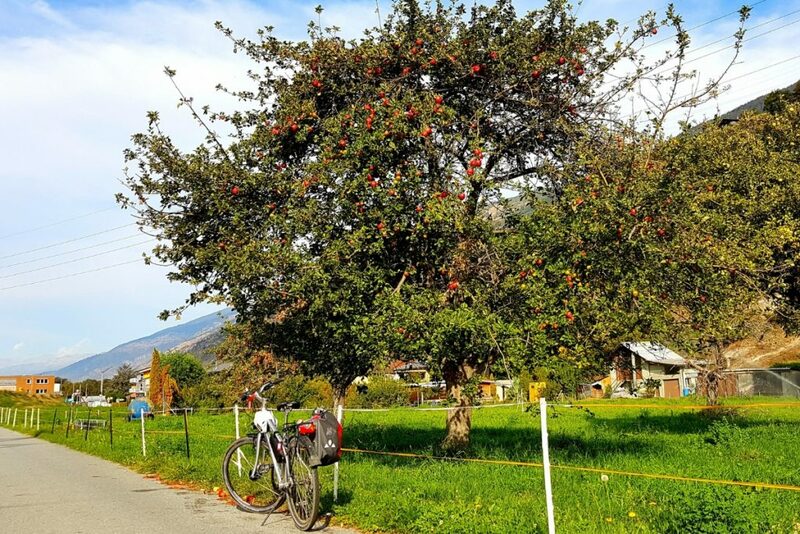 For more other Switzerland and worldwide cycling holidays, please visit www.travel-wander.com.